Getting into the park: $15 each. We paid a total of $30, but it was good to re-enter for 7 days. We parked on then street in Springdale and took the free shuttle to the park entrance. 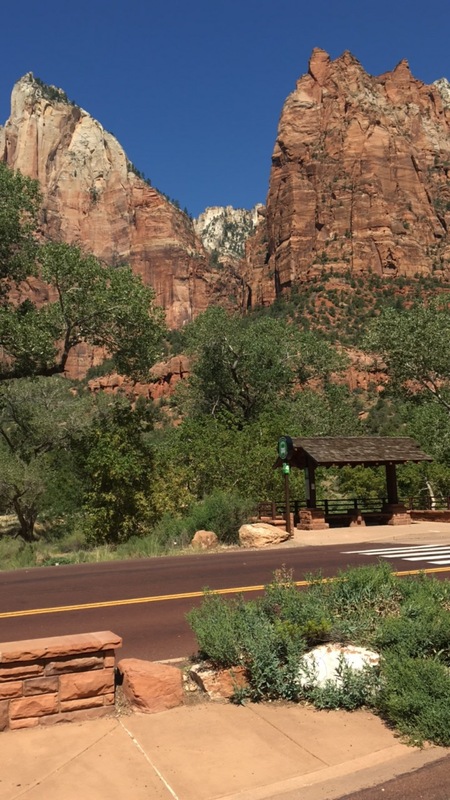 There are plenty of restaurants and camp grounds before you enter the park and at the visitor center. 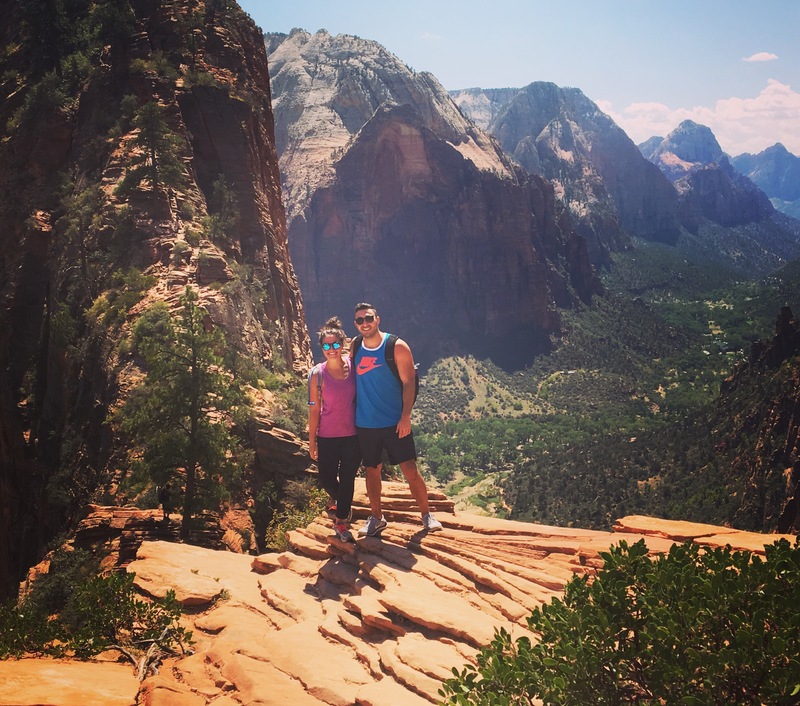 We hiked Angel’s Landing which is one of the more popular trails in Zion. We took the free shuttle from the visitor’s center to stop 6 (which is labeled with trails, museums, etc. on the bus). It was a pretty hard hike about 5 miles total in and out. Make sure you use the bathroom before and bring sunscreen and hats! The beginning of the trail was the hardest part for us and completely in the sun going uphill! At the end of the hike you use chains to scale the mountain. On both sides there is a couple thousands feet drop which is pretty scary. I wouldn’t recommend this hike if you are afraid of heights. One thing we didn’t check out was the narrows. If we had more time we would have, but you can rent shoes to hike through the water! 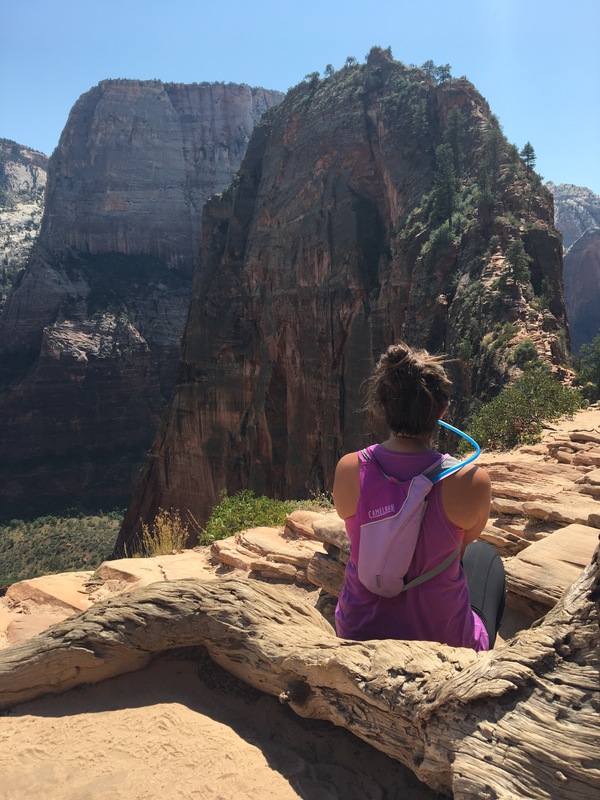 One suggestion from a girl we met while hiking was to do this hike after Angel’s Landing if you are trying to fit it in the whole day.